Building reed near lake. Reed for construction at building site on the lake shore. Reed for construction at building site on the lake shore. 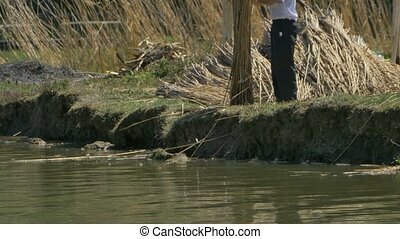 A man is working with reed near the water shore. 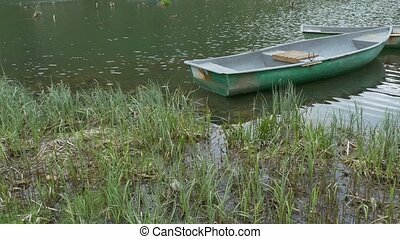 Pan shot to some old lake boats moored on the cattail shore. 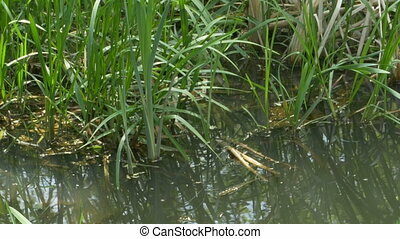 Pan shot to some water vegetation (reed) near the shore. 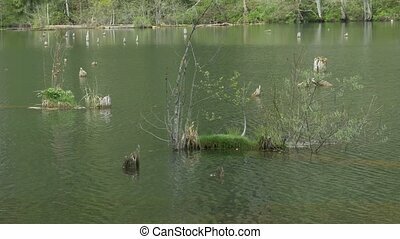 Fresh vegetation grown on a tiny mound on a beautiful lake, near the forest. 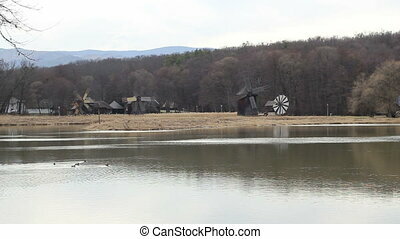 Different types of wood wind mills placed near a lake. 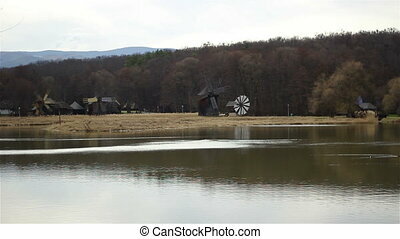 Wooden windmills landscape near a forest and a lake. Some ducks pass the water. 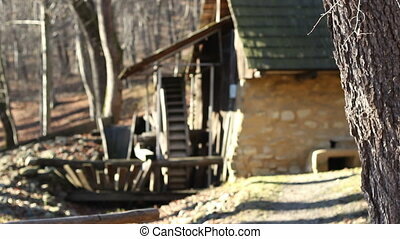 Changing focus to an old mill building with wood water wheel, built of stone and adobe, near a forest, during the autumn time.